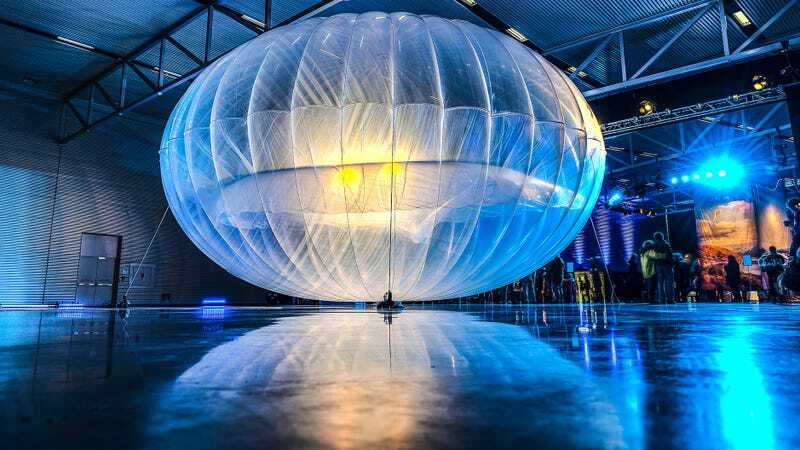 Project Loon, the former Google X Lab enterprise to provide mobile data to rural areas and disaster zones via high-altitude weather balloons now run by Google’s parent company Alphabet, may soon get another major test drive. Per Engadget, the FCC issued an “emergency license” for X to deploy its technology to Puerto Rico, where the FCC recently estimated 83 percent of the commonwealth’s cell sites remain inoperable weeks after Hurricane Maria slammed into it at strong Category 4 status. The balloons will also help restore service in the US Virgin Islands, which were slammed by the storm as well. FCC clearance means that X may move forward to partner with a telecommunications service to bring its experimental service directly to the region, as it did in Peru after storms ravaged the nation in May. Because X was already testing in Peru when it was struck with floods, the Caribbean deployment may take more time than that successful run. The FCC license will allow X to fly balloons until April 4, 2018, though it remains unclear how much of the territories in question will be covered by the experiment. In the meantime, the situation throughout Puerto Rico has remained terrible. According to an updated tally from the Washington Post, as of Saturday, just 11.7 percent of the commonwealth has access to electricity, 55.5 percent has water, and just 44 percent has cell phone service..